As you can see in this video, people with missing teeth and dentures tend to eat softer food that has been heavily processed. As any doctor and dentist will advise, this type of diet is unhealthy toward a patient’s overall health and wellbeing. When someone has missing teeth, they often find it difficult to eat healthier foods like vegetables, fruits, and meats. These foods are essential to maintaining a healthy lifestyle, though they may be inaccessible to you if you have missing teeth or poorly fitted dental restorations. Your dentist can help you explore restorative care options that will more easily allow you to eat healthy foods. At Glenwood Premier Dental , we believe that good dental health can profoundly impact your overall health. Call us at (732) 264-4477 to schedule a consultation with the best dentists in Hazlet so you can lead a full and healthy life. How Are Abscessed Teeth Treated? If you have an abscessed tooth, you should see an emergency dentist as soon as possible. As you will learn in this video, dentists commonly treat a tooth abscess with a root canal. Many people are understandably anxious about visiting a dentist for a root canal. However, thanks to new developments in laser dentistry, root canal treatment is almost entirely pain-free. A root canal involves removing the tooth’s infected inner pulp. While you may experience pain before a dentist performs a root canal, removing this damaged tissue ensures that you will not experience any further discomfort. To learn more about getting a root canal near Hazlet, speak to a dentist at Glenwood Premier Dental by calling (732) 264-4477. Teeth are strong because they are built with protective layers to keep the structure and everything inside safe. But sometimes, accidents happen and teeth get broken. In most cases, a trip to your emergency dentist in Hazlet will be necessary. The treatment you will need depends on the severity of the broken tooth. Watch this video to see what will happen when you break a tooth. If you have had an emergency, such as a traumatic injury, be sure to contact your dentist as soon as possible. You will need treatment quickly, especially if your tooth is cracked or dislodged. If you are experiencing severe pain, your tooth’s nerves could be damaged. Once again, this requires immediate treatment that your dentist will determine, such as a root canal. The sooner you seek treatment, the more successful and affordable it will be. The dentists at Glenwood Premier Dental are prepared to handle any situation with compassion and expertise. Contact us at (732) 264-4477 or visit us online for more information. There are many reasons why you may suffer from tooth loss. If you visit your dentist regularly for teeth cleanings and dental exams, you may be able to prevent tooth loss, and your dentist can look for loose teeth or risk factors before any teeth are lost. Keep reading to learn more about the risk factors for tooth loss. One of the first lines of defense against many of the risk factors of tooth loss is regular visits to your dentist. Your dentist will perform professional teeth cleanings and dental exams to evaluate your risk of tooth loss. He’ll perform oral cancer screenings, and check for early warning signs of gingivitis, gum disease, tooth decay, cavities, and infections. The earlier your dentist catches these problems, the more effective treatment will be, and the less likely you are to suffer from tooth loss. If you fail to brush and floss daily, you’ll develop plaque and tartar buildup. This buildup harbors harmful bacteria that causes gingivitis and gum disease, which put you at significant risk for tooth loss. Poor oral hygiene also increases your risk of tooth decay, dental cavities, and infections, which can also cause tooth loss. Your dentist can demonstrate proper oral hygiene techniques for you to use at home. Certain medical conditions, such as diabetes, high blood pressure, and rheumatoid arthritis, can increase your risk of tooth loss. This is also the case with medications that cause dry mouth or reduce the amount of saliva that your body produces naturally. Your dentist may be able to help you reduce your risk of tooth loss if you have a medical condition or are taking medication. If you’re worried about your risk of tooth loss and are in need of a dentist near Hazlet , come see us at Glenwood Premier Dental. We offer comprehensive dental services that can prevent tooth loss and restore teeth that are in danger of being lost. To schedule an appointment with one of our experienced dentists, call us today at (732) 264-4477. One of the most important functions your dentist can perform is to conduct regular oral cancer screenings. You should schedule regular dental check-ups in order to safeguard the health of your teeth and gums. During dental exams, however, the dentist can also check for sores or growths which may indicate oral cancer. You can then be referred to a doctor if necessary. Oral cancers include cancers of the throat, lips, tongue, soft and hard palates, sinuses, and pharynx. These cancers can prove fatal if left untreated. Early diagnosis is crucial. You may be at greater risk of contracting oral cancer if you smoke or use tobacco products. Heavy drinking, hereditary factors, excessive exposure to sunlight in childhood, and exposure to certain forms of HPV, or human papillomavirus, can also increase your vulnerability to oral cancer . However, you still need to be screened for oral cancer even if none of these risk factors apply. It is important to be familiar with some of the early signs of oral cancer. These include swelling, abrasions, sores, or lumps anywhere around the lips or inside the mouth. White or speckled patches may appear in the mouth. You should also consult a medical professional if you experience bleeding, numbness, pain, or tenderness which does not have an obvious cause. Chronic hoarseness or a persistent sensation of having something caught in your throat can also be symptoms of oral cancer. A sore throat which will not go away or a stubborn ear pain can be early warning signs. The way your bite is aligned may change. You may find that your dentures no longer fit comfortably. Finally, sudden, unexplained weight loss is a side effect of many cancers, including oral cancer. Consult your dentist if you experience any of these symptoms. Here at Glenwood Premier Dental , we carry out regular oral cancer screenings in Hazlet as part of our dental check-ups. If you have any concerns about oral cancer, call us at (732) 264-4477, or visit our website. Let us help you retain a healthy mouth for life. A beautiful, white smile is a wonderful asset. Knowing that your teeth look their best can significantly boost your confidence. One of the most appealing features of a lovely smile is its color. Here at Glenwood Premier Dental, we offer a range of cosmetic dentistry services to help keep your smile in peak condition. 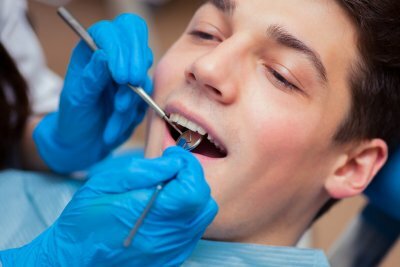 Traditionally, dental fillings were usually made from mercury amalgam. These amalgam fillings are easily visible within the mouth because of their dull, metallic color. 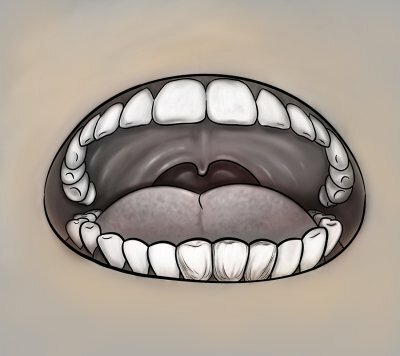 An increasing number of patients are opting for tooth-colored fillings instead. 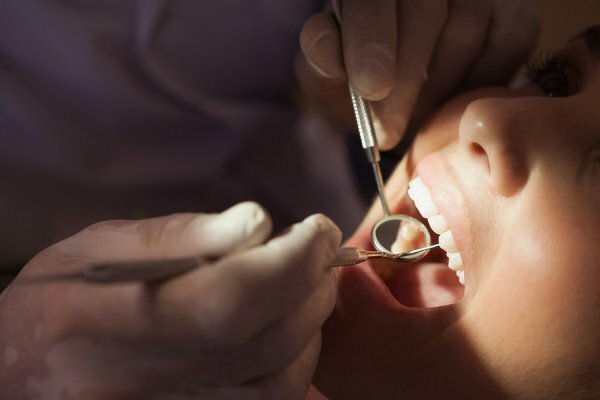 Here at Glenwood Premier Dental, our dentists serving Hazlet always use white fillings that are made from either porcelain or resin. They are carefully chosen to match the color of your natural teeth. This means that your fillings will go unnoticed. Your dental work need not detract from the beauty of your smile. To find out more about our tooth-colored fillings, visit our website or call us at (732) 264-4477. Let us help you achieve a healthy and gorgeous smile. Should You Consider Adult Sealants? Everyone wants healthy, disease-free teeth. While good oral hygiene can help to prevent tooth decay, there is no guarantee that cavities will not form. Watch this video to find out more about how a dentist may use sealants to help protect your teeth. The video discusses the fact that cavities often develop in hollows on the tooth surface which are difficult to access with a toothbrush. The presenter explains that sealants can be used to prevent plaque from being able to enter cracks, fissures, and hollows in the surface of teeth. The video shows sealant being applied to a patient’s back teeth, which are particularly vulnerable to decay. Finally, the video recommends the use of sealants for both adults and children. They provide an easy way to help protect your teeth. At Glenwood Premier Dental, our dentists offer sealant treatments as well as dental exams and oral cancer screenings. To learn more about how we can help you protect the health of your smile, call our dentists serving Hazlet at (732) 264-4477. While individuals of any age may experience tooth decay, certain age-related processes can increase your risk. Be sure to visit your dentist regularly and watch this video to learn about oral health risks for seniors. Your teeth are covered with a durable coating called enamel, which helps to protect them from damage and infection. The roots of your teeth, on the other hand, are covered with cementum. You may notice that your gums recede as you age, and this can expose your cementum. Be sure to practice proper dental hygiene and meet with your dentist regularly to combat this risk. Glenwood Premier Dental is happy to offer dental exams, teeth polishing, and restorative care near Hazlet. For more information about our services, please visit our website or call us today at (732) 264-4477. Oral cancer is more common than you might think and can be incredibly difficult to treat if it’s not detected in its early stages. Regular oral cancer screenings from your dentist can give you peace of mind and ensure that you get the best, most effective treatment possible if cancer does develop. Continue reading to learn about the common risk factors for oral cancer. Of all of the preventable risk factors for oral cancer, tobacco use tops the charts. Cigarettes, cigars, pipes, snuff, and chewing tobacco all increase your chances of developing some form of oral cancer. A variety of carcinogens exist in both smoking and smokeless tobacco, but smoking does seem to have a slightly higher association with oral cancer. Even so, smokeless options are by no means benign. Furthermore, the risk of tobacco-related oral cancer goes up when accompanied by heavy alcohol use. The exact mechanism by which inadequate nutrition influences the development of oral cancer is not completely understood, but there is a definite correlation. In particular, a diet very low in beta carotene seems to be a risk factor for oral cancer in particular, and insufficient vitamin C is associated with general cancer risks. More research is needed to establish a protocol for reducing oral cancer risks through diet, but most experts agree that increasing the consumption of fresh fruits and vegetables is highly beneficial. Men are twice as likely to develop oral cancer as women, particularly those who are older than 62 years of age. Some experts believe that this is partially due to heavier tobacco and alcohol use among men, though the precise reason for such a large discrepancy is still open for debate. The best thing you can do to avoid oral cancer is to discontinue unhealthy habits such as smoking and to have regular oral cancer screenings with your dentist. If you’re interested in oral cancer screenings in Hazlet, call Glenwood Premier Dental at (732) 847-9039 to schedule an appointment.